Avira Internet Security Suite is a complete and comprehensive security platform that makes Internet protection simple. With it's cutting-edge antivirus technology it protects you from all online threats (viruses, Trojans, ransomware, email scams and malware etc..) while improving your PC’s performance. Combining the very latest antivirus technology, advanced heuristics with the power of cloud computing and easy to use firewall manager, It letting you chat, bank, browse and shop online without ever having to worry. Avira’s antivirus technology is trusted by millions of users and consistently earns the praise of independent reviewing platforms. 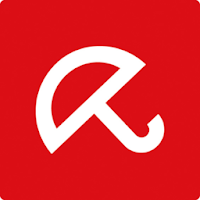 Note: Avira Security Suite is a shareware program that is also available in a freeware edition: Avira Free Security Suite. Disclaimer: Direct downloads for the lastest version of Avira Internet Security Suite 2019 15.0.45.1126 are provided by the official software's author, we can't guarantee safety, availability or download speed. Moreover, we don't and we won't provide any pirated/illegal versions or tools. We recommend you to avoid it as these methods can harm your device. If you like the software, buy it to support the developers. (We provide software discounts for many worldwide brands).